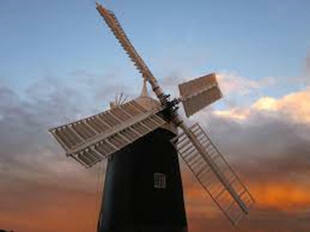 Retford lies just 5 miles off the A1 between Doncaster & Newark and makes an ideal stop on a journey. Here you can choose a short talk from our collection of talks, browse the Art Gallery, visit the Museum, visit the shop or take high tea in the Gallery. Our historic Grade II listed building was built as a Coaching House on the Great North Road for First Class passengers to stop and partake of high tea in a grand gallery, an experience that we are able to offer visitors today. Afterwards feel free to explore the Mayflower Pilgrim Museum to discover how this small group of people had such a radical influence on world history. 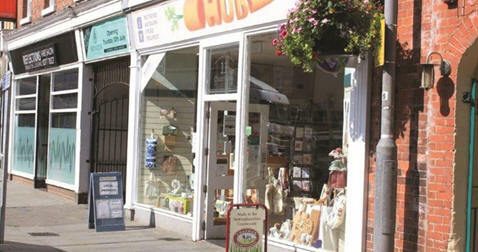 The shop is a treasure trove of local goodies with local foods and art & crafts from over 140 local people. The Centre in near the heart of Retford which is ideal for exploration of this fascinating Georgian Town with award Winning Park, wealth of local shops and thrice weekly market. 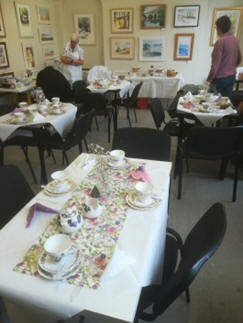 Our Cafe is open daily or you can book our high tea experience. £2.50pp. Every 10th ticket free. £5pp. Min 10people. to include Museum entry cost email chris@retfordhub.org to arrange a date. Guided tour of Retford by a member of Retford Civic Society. £5pp. Min 10people. to include Museum entry cost. email chris@retfordhub.org to arrange a date. £8.50pp. Min 10people. does not include Museum entry. email chris@retfordhub.org to arrange a date. 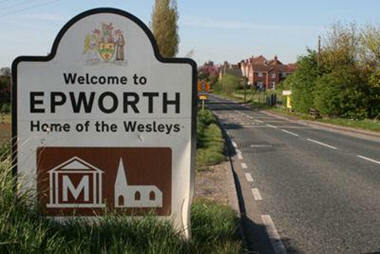 We follow in the footsteps of the Pilgrims and look at the development of the Separatist movement and the Free Church with a tour of the area where we have access to enter the sacred churches starting at Babworth where Richard Clyfton preached his Separatist views, we stop at Scrooby which is recognised as the start of the Separatist movement before we head on onto Epworth where some 200 years later the Wesley brothers started the Methodist Church. On our route we pass through Austerfield, the home of William Bradford who became the second elected US leader a position he held for 30 years and Bawtry, scene of the second pilgrim escape. We take lunch in Gainsborough. 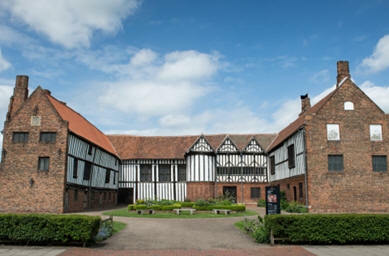 After lunch we visit Gainsborough Old Hall, home of the Hickman family and meeting place for another group of Separatists, where there is time to explore this grand old building. Afterwards we make our way to Sturton-Le-Steeple the birthplace of John Robinson, Separatist leader and founder of the Baptist movement, before making our way to the Mayflower Pilgrim Centre in Retford. email chris@retfordhub.org to arrange a date. This tour provides the opportunity to explore an area that lies undiscovered and unknown by many, but will appeal to those with a wide range of interests. The historical context spans early medieval history and considers life for ordinary people and their fight for survival, from Robin Hood’s fight for the oppressed poor, to the Pilgrim Fathers who’s fight against State and Church ultimately resulted in ‘Freedom of the Individual’, the start of Modern Day American History, and the source of every non-Conformist English speaking Christian religion in the World. Robin Hood and the Pilgrim Fathers are the biggest known global brands and this tour will have National and International interest. But the tour also offers the chance to unwind and relax in a peaceful countryside that remains unchanged by modern sprawl, a world leading Spa, a convenient market town with quality shopping and independent shops and a range of walking and exploring opportunities along canals, through parks and forests. Enjoy a relaxing journey to Nottinghamshire where we stay in an historic Country House. We have a light hearted introductory talk about the area (1hr). A walking tour following the Heritage Trail in Retford, Mayflower Pilgrim Museum, two course lunch, The Major Oak – hideout of Robin Hood, Medieval Laxton and Tuxford Windmill. This morning we take a 90-minute guided walking tour of Retford to discover the secrets of this delightful market town. Once a major commercial meeting point on the Great North Road it is a thriving shopping centre boasting over 35 coffee shops & eateries. We visit the Mayflower Pilgrim Museum, the Hub Art Gallery, sample local cheeses and buy souvenirs. We take lunch in the town. In the afternoon we take a gentle drive through the picturesque Nottinghamshire countryside into the heart of Sherwood Forest where we visit the new RSPB Visitor Centre near Robin Hood’s Major Oak and an opportunity to walk in the ancient woodland. On our return we pass through the historic village of Laxton, the only village still carrying out medieval strip farming and owned by the Government. Our final stop is at the award winning Tuxford Windmill. A tour of this ancient mill reveals many of the secrets of the process, ending with a tasting of freshly made scones in the Tea Room. We return to the hotel with time to relax before dinner. Rebels or Heroes – you decide? 5 day / 4 night tour. This 5-day tour provides the opportunity to explore the stories surrounding Robin Hood and the Pilgrim Fathers in greater depth in an area of the country that lies undiscovered and unknown by many. It also includes much that will appeal to those with a wide range of interests. The historical context spans early medieval history and considers life for ordinary people and their fight for survival, from Robin Hood’s fight for the oppressed poor, to the Pilgrim Fathers who’s fight against State and Church ultimately resulted in ‘Freedom of the Individual’, the start of Modern Day American History, and the source of every non-Conformist English speaking Christian religion in the World. Robin Hood and the Pilgrim Fathers are the biggest known global brands and this tour will have National and International interest. The tour visits the home of John Wesley who started the Methodists and John Robinson who started the Baptists. In addition we visit The National Holocaust Centre to investigate other persecuted people. Enjoy a relaxing journey to Nottinghamshire where we stay in an historic Country House. We have a light hearted introductory talk about the area. This morning we take a 90-minute guided walking tour of Retford to discover the secrets of this delightful market town. Once a major commercial meeting point on the Great North Road it is a thriving shopping centre boasting over 35 coffee shops & eateries. We visit the Mayflower Pilgrim Museum which tells how the area can lay claim to being the home to democracy and modern day America and where you can visit the art gallery, sample local cheeses and other local foods. We take lunch in the town. In the afternoon we take a gentle drive through the picturesque Nottinghamshire countryside into the heart of Sherwood Forest where we visit the new Visitor Centre near Robin Hoods Major Oak and an opportunity to walk in the ancient woodland. On our return we pass through the historic village of Laxton, the only village still carrying out medieval strip farming and owned by the Government. Our final stop is at the award winning Tuxford Windmill. A tour of this ancient mill reveals many of the secrets of the process, ending with a tasting of freshly made scones in the Tea Room. We return to the hotel with time to relax before dinner. This morning we follow in the footsteps of the Pilgrims and look at the development of the Free Church with a tour around the villages, starting at Babworth where Richard Clyfton preached his Separatist views, we stop at Scrooby which is recognised as the start of the Separatist movement before we head on onto Epworth where some 200 years later the Wesley brothers started the Methodist Church. On our route we pass through Epworth, the home of William Bradford who became the second elected US leader a position he held for 30 years. After lunch we visit Gainsborough Old Hall, home of the Hickman family and meeting place for another group of Separatists, where there is time to explore this grand old building. Afterwards we make our way to Sturton-Le-Steeple the birthplace of John Robinson, Separatist leader and founder of the Baptist movement. This morning we journey to Newark where we visit the Civil War Centre. Here we to learn about the events that followed just 20 years later, in part as a result of the Pilgrim activities. 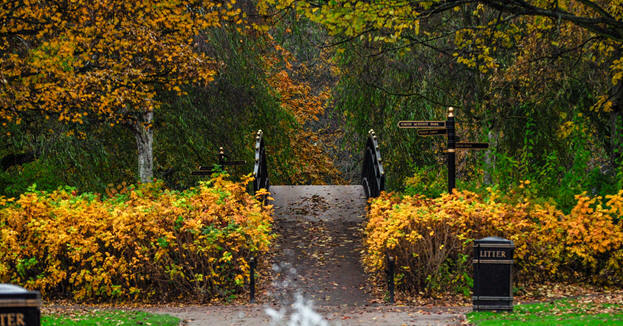 There is time to wander around this town and follow the Civil War Trail to the Castle and river. After lunch we travel to the village of Ollerton where we visit the National Holocaust Centre where we consider how groups of ordinary people have been persecuted for their beliefs and learn some of the true stories of those who have suffered persecution. This can be an extremely moving experience. Rebels or Heroes: Robin Hood, the Mayflower Pilgrims and many of the holocaust groups are often considered ‘rebels’ by the established order – so this is time to decide and add your weight to our poll. This morning enjoy one of the country’s leading spa experiences at Ye Olde Bell Hotel where you can enjoy 10 thermal experiences and let your worries drift away in their relaxation spaces. Replenish with a range of fresh, healthy and wholesome dishes in the relaxation lounge, Herb Garden Brasserie or enjoy a drink with friends on the terrace.